I was recently asked about how I organize my daily to-do pages. This was a great question because I have probably been trying for years to figure out an effective way to organize an efficient day! Last semester, I finally came up with a system that totally and completely works for me! Maybe it will work for you, too! I use a daily to-do page! Remember in a post a few weeks ago when I said that we should only be doing about 5 big things with our lives? The very first one I ever made for myself! Well, this to-do page works perfectly for that because it has 5 "categories" out to the side for jotting down quick task lists or recording notes. Last semester, I used my categories like this: work, school, blog, workouts, cleaning. Sometimes I switched out cleaning for errands or social for workouts. (Different seasons of life call for different categories!) This was the most helpful because it allowed me to list a MANAGEABLE number of tasks per category! This is the version available in the Etsy shop! So, I use those time slots to force myself to say "hey, this is good enough" and move on to the next task! It has been a really helpful system for me! And so, of course, it's available in Organized Charm's Etsy shop for you to use, too! I would suggest printing out several days at a time and putting them into a notebook. Take a piece of notebook paper and write down every single thing weighing on your mind, then disperse those tasks throughout the days! If you have long term tentative plans, you can use Post-It's to show when you'll be out for certain events (like meetings, appointments, etc) until they become "confirmed" plans! I also really love to use Washi tape on the edge of mine to add some color, and give me a space to write motivational quotes or decorate! For a while, I was even using the blank space at the bottom of the page to write down good things that happened each day! 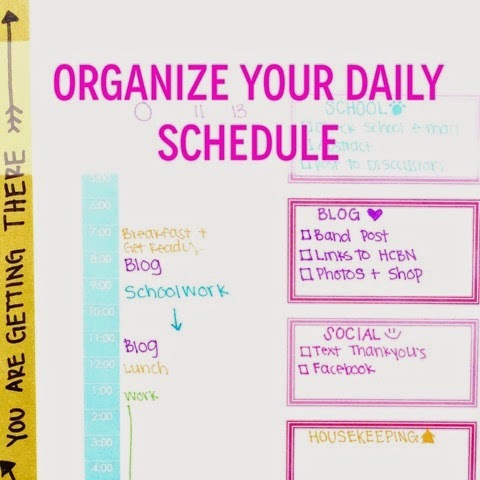 Do you have a system for getting through your task list each day? What kind of planner/ notebook/ list do you use? 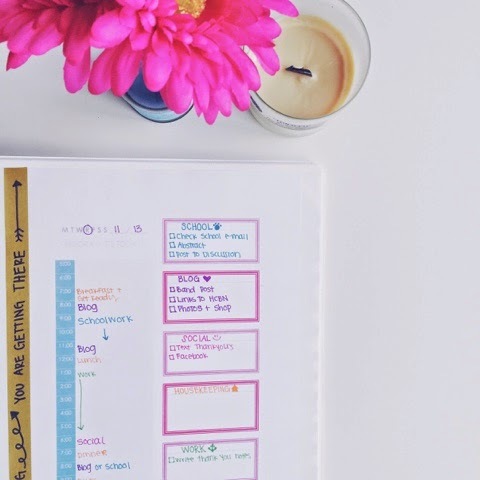 How do you organize your planner/list to show the different "categories" of your life?